Finally, a sale of a Delavan Lake property. The sale of a four bedroom, one bath home on the Delavan Inlet is the first transaction since the end of June 2010. Although relatively small in dollar amount, only $300,000, the sale confirms the pricing on the inlet. The most recent sale was situated on 75 feet of frontage, had a large front yard, deck and walk out basement. The price is the same as another sale that took place earlier in the year. That sale, also for $300,000 was on 75 feet of frontage, contained three bedrooms, two baths, and a two car garage. With two more Delavan Lakefront properties currently under contract, hopefully the flow of sales will start up again. 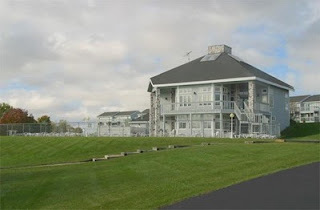 The Taste of Delavan Lake will be held November 12, 2010 at the Delavan Lake Yacht Club. Proceeds from the taste are used for the Delavan Darien School District Foundation that provides scholarships annually at Delavan Darien High School. Tastes will be provided by the Apple Barn Orchard and Winery, Brick Street Market, Brown Box Cheesecakes, Culvers, Greenies Club House, Hernandez Restaurant, Riga-Tony’s, Shrimp House, Sonoma Cellars, Sorg’s, Staller Estate Vineyard and Winery, Stinebrink’s Piggly Wiggly and the Waterfront. The event will be held from 5 pm to 8 pm and tickets are available from Bradley's Department Store and Community Bank for $20 per person. Prices of lakefront condos on Delavan Lake continued to fall this week. A three bedroom unit in Delavan Gardens Estate, located off of North Shore Drive, was reduced from its initial listing price of $425,000 to $375,000. The completely remodeled unit, featuring 3 baths, master suite, 2-car garage, and patio, comes with a boat slip and boat lift. This of one of three units for sale in the complex and contains new appliances, fixtures and window coverings. Additionally, a three bedroom townhouse in the Delavan Club complex was reduced from an initial listing price of $250,000 to $234,900. This association includes a boat launch, pier, club house, swimming pool, tennis courts, fitness course, and basketball courts. The three-bedroom, three-bath unit has also been remodeled and has three levels of living including two decks and a patio. A similar unit was listed for $299,000 in 2009. The Town of Delavan Board voted not to move forward with an address change proposal that would have meant a new address for all Delavan Lake residents... for now. The town held a special meeting this evening on the matter at the town park. The purpose of the meeting was to gather input from residents and allow them to voice their concerns. All but one of the residents spoke against the address change. Police and fire representatives spoke for the change. Key reasons cited for the change were safety and the uniformity with the county numbering system. The main points against the measure were the costs that the residents would have to bear if all of the addresses were changed. A motion from Town Chair Dorothy Burwell to proceed with the address change at the Town Board meeting died for a lack of second. A second motion, was then presented, to not pass the ordinance and to refer the matter to the Committee of the Whole for further discussion and brain storming. So for now, the addresses will stay the same around Delavan Lake. Sales of Delavan Lakefront and Lake Access properties came to a crawl in the third quarter of 2010. From July 1 to September 30, not a single lakefront property sold. Last year, there were three sales during this period. Year to date, there have been nine sales of Delavan lakefront properties compared to seven in 2009. Sales of Delavan lake access properties fared better with nine sales for the three month period. Nine were also sold during the same time frame last year. Year to date, there have been 19 lake access sales compared to 23 last year by this time. The sales for the quarter ranged from a $40,500 foreclosure to a $210,000 four-bedroom in Assembly Park. The lakefront condo market declined in the third quarter. There were only two sales this year compared to four last year. Year to date, sales were 13 compared to only five last year. The sales for the quarter consisted of one two-bedroom, two-bath Delavan Club unit and one two-bedroom, three-bath Geneva Landings unit. There are 99 single family homes on the market with lakefront or lake access on Delavan Lake. This is up from 91 last year. The lakefront properties start at $335,000 for a three-bedroom home on Brown’s Channel and progress to $2,499,900 for a six-bedroom home on the north shore. In the condo arena, there are 43 units for sale, which is down from 55 last year. The properties range from a $59,500 one-bedroom condo/hotel to $399,000 for a completely remodeled three-bedroom with a pier, boat lift and boat launch in Delavan Gardens. The best value for a lake access property on Delavan is located at 4325 East Drive. Reduced from $165,000 to $129,900, this two-bedroom home has a pier, boat launch, park, and beach. 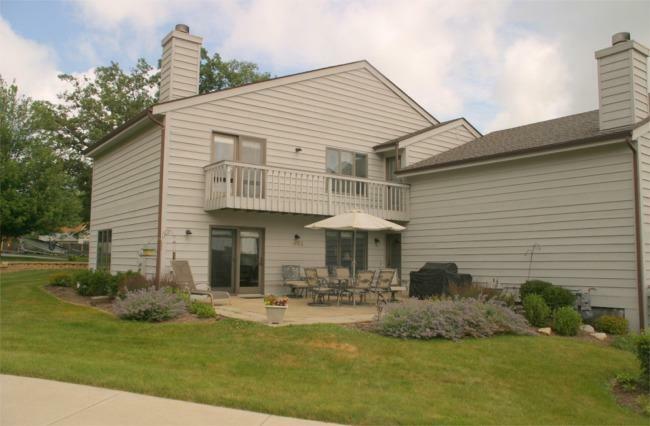 The best value for a Delavan lakefront is 2510 Manor Lane. This four-bedroom, two-bath lakefront, has 100 feet of level frontage, a wrap-around deck and a 2.5 car garage. It has been reduced from $999,000 to $949,000. One new listing and one price reduction on Lake Trail Drive, Delavan Lake has made lake access properties much more affordable in the area. The new listing, located at 1817 Lake Trail Drive, just came on the market for $324,000. The three-bedroom, two-bath home has a deeded boat slip just off of North Shore Drive, a remodeled kitchen, and attached two car garage. Last year, similar properties were being listed for $399,000. The second listing, located at 1943 Lake Trail Drive, has just been reduced from $349,000 to $319,000. The property also includes a boat slip and has now been on the market for 208 days. The town of Delavan and Delavan Lake is considering changing all of the addresses for town residents. The proposal, from the town chairperson, would change all of the addresses in the town to follow the numbering system followed by other Walworth County municipalities. Citizens have urged the town representative not to change the addresses and will be meeting with town officials on October 19, 2010 at 6pm at the Community Park for a hearing on the matter. The Community Park building is located at the corner of Highway 50 and South Shore Drive in Delavan.